N.B. 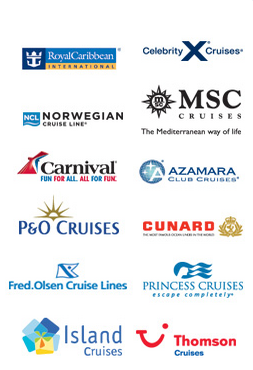 Many of our cruise deals are never released to the general public. By joining the CruiseOffers.co.uk VIP Club for river cruises you’ll be alerted to exclusive special offers including late deals, free upgrades and early booking deals from leading river cruise lines. If you’re looking for a different kind of cruise and you don’t fancy the wide open seas, perhaps a river cruise might suit you. Here we delve into what you can expect if you embark on one of these cruises. As you’ll discover, it might have more to offer than you may think. How do river cruises differ from ocean cruises? The clue is in the name! River cruises focus on travelling along some of the world’s most famous rivers. You can travel through more than one country in some cases, much as you would on a normal seafaring cruise, but you won’t find yourself in wide open waters crossing the Atlantic or any other major ocean. While all cruise ships have plenty of facilities for you to enjoy and make the most of, it can be frustrating to spend more than a day at sea without any dry land to look at. This isn’t the case with a river cruise, where you’re always able to see the passing scenery. As such it’s ideal for avid photographers! This means you might prefer it if you tend to hate rough seas and you want to see some of the world’s biggest and best rivers instead. You also have the advantage of always having scenery to appreciate. If you’re crossing the Atlantic you’ll only ever have a sea view to look at while you’re en route from one country to the next. There are plenty of amazing destinations and rivers you can explore when you opt for a river cruise. For example the River Danube offers some wonderful scenery and the chance to visit the likes of Austria, Germany and Bulgaria to name just three countries the Danube flows through or past. Then you’ve got the Rhine, which flows through Cologne and Koblenz, and the Seine and the Rhone, which take you through France. You can also go beyond Europe and explore the Mekong in Cambodia or even head for the famous River Nile in Egypt. In short, regardless of where you want to travel in the world, you can be sure of finding somewhere packed with surprises to enjoy on a river cruise. Many of our river cruise deals include transport from the UK which is often a choice of coach travel from a local departure point, return flight or in some cases train travel. Which companies offer river cruises? You might be surprised to learn how many companies offer river cruises. Oftentimes there are companies that specialise in these kinds of cruises, such as Viking River Cruises for example. Shearings, Titan, The River Cruise Line and Avalon are all companies that CruiseOffers.co.uk works with if you are considering booking a river cruise. The main thing to remember is river cruises can be just as rewarding and relaxing as more traditional cruises. You can still travel through several countries if you wish. Alternatively you can pick a cruise that allows you to travel along one part of a river, stopping off at selected points to make the most of exploring the passing scenery. As you can see, a river cruise enables you to get the most from your cruise holiday. CruiseOffers.co.uk – Enjoy big savings on river cruises.